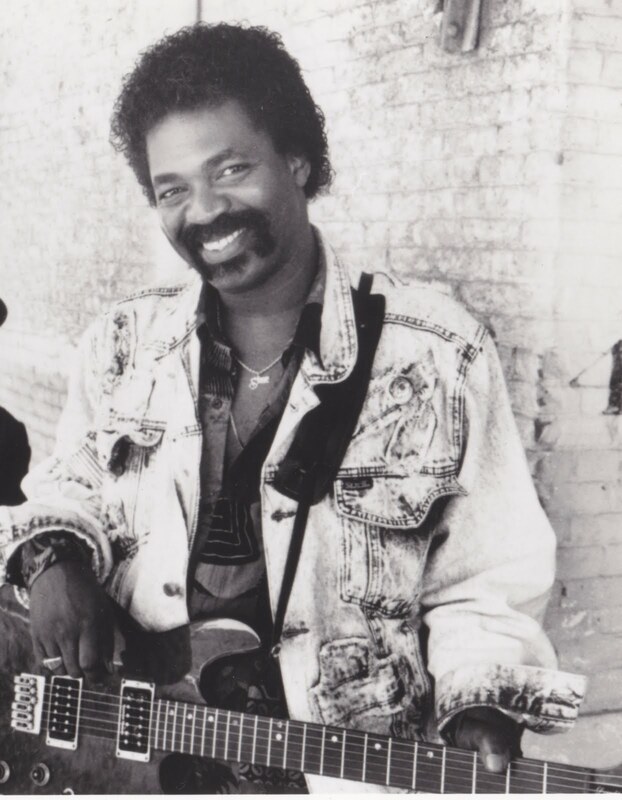 By age 23, Donald Kinsey had already earned his place in music history, having played in the bands of Bob Marley, Peter Tosh, and Albert King. 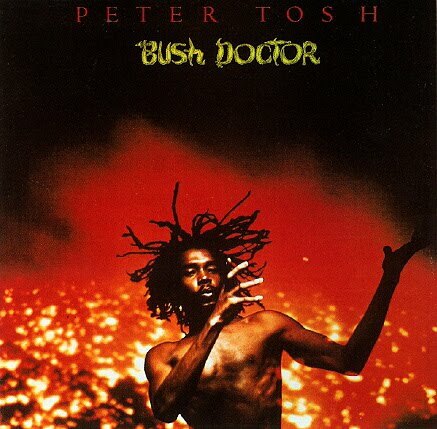 His credits for 1976 alone include Peter Tosh’s Legalize It and Live and Dangerous albums, as well as Bob Marley’s Rastaman Vibration and Live at the Roxy. In short, Kinsey, master of the poignant guitar solo, has one of the most impressive blues and reggae resumes imaginable. Son of bluesman Lester “Big Daddy” Kinsey, Donald was born in 1953 and raised in Gary, Indiana. Playing with his father’s revue, he became known as “B.B. King, Jr.” At 18, he was hired to go on the road with blues great Albert King, who featured him on his classic Stax albums Blues at Sunrise , Blues at Sunset , I Wanna Get Funky , and Montreux Festival. 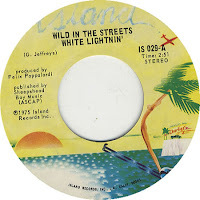 Donald’s next project, the short-lived power trio White Lightnin’, was signed to Island Records, which led to his celebrated stints with labelmates Peter Tosh and Bob Marley. Between 1976 and 1984, Kinsey went on several tours with Tosh, including opening for the Rolling Stones in 1978, and recorded six albums. He became a full-fledged member of Bob Marley and The Wailers in 1976 and, as described below, was in the room the night Bob Marley was shot by would-be assassins. Three years later, Donald joined the reggae legend’s final tour. Since the mid 1980s, Kinsey has devoted himself to playing alongside those who bear his family name. He’s recorded four albums with his father and five with the Kinsey Report, which features his brothers Ralph on drums and Kenneth on bass. The following interview took place in Gary, Indiana, on August 1, 1985. At the time, Big Daddy Kinsey’s first album, Bad Situation , was about to be released. How does it feel to be back playing the blues? I’ll tell you, it’s a good feeling. It really is. I was deep off into the reggae scene for a minute there. It was refreshing and almost regenerating coming back and playing the blues. Being here at home in the Midwest really, really, really did me wonders within myself. When did you come back to the Midwest? It’s been two years. 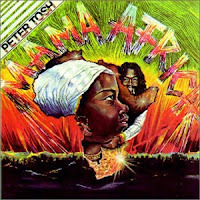 Man, we were on the road for almost eight months out of the year with Peter Tosh on that Mama Africa album. We toured all of Europe and we went to Africa. When we were in France, and even before, I was noticing there was something happening with the blues. It seemed like it was coming alive more. You would see more of it on TV. You would see artists. You would hear it on the radio. It was like it was coming alive again. My father, which put the guitar in my hands, he’s been really consistent with me. I called him, and I told him that the vibe just felt right, as far as my feelings go, for him to work on his first album. So I just told him that when I come back home, I wasn’t going to go back out on the road with nobody else or do anything, that I was gonna really spend some time working with him trying to get an album out there. So that’s what we did, and it just so happens that the timing and everything just was perfect, because Peter hasn’t done anything since. 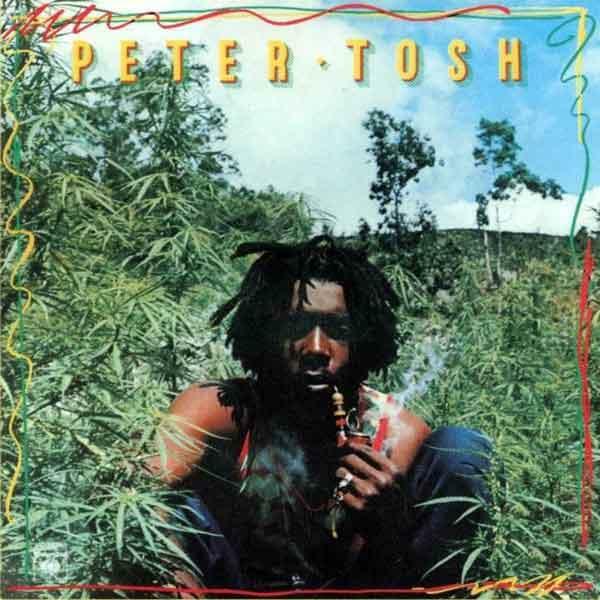 When was your last album with Peter Tosh? The Mama Africa album – that album was maybe two, three years ago at the most. You co-wrote all the songs on your dad’s album. Yeah. Normally how we work as a family is I might come up with a basic structure, and might even have a melody, but I might not have one word. I make a tape of whatever it is I have for my dad or brother. Or vice versa – they’ll do the same thing. We’re very creative musically, and usually the music is almost the first thing. We might have a concept of where we want the song to go. It was dad’s album, so we were writing for it to really fit dad. He had to be a part of everything, you know. Like the “Nuclear War” tune, for an example. We picked a topic that was a now topic. It just so happened that his father was still living. His father was in World War I, my father was in World War II. I didn’t go into the service, but my brother Ralph, he was also in the service. So we just took it a little more recent than that and just said, “Well, my son is in Lebanon,” you know. It’s always a group effort. We always get together at my father’s house. Downstairs we have a little four-track system set up, so it’s like headquarters. You’ve played with your brother Ralph in a few bands. Yeah. First of all, it was White Lightnin’. We did an album on Island Records. That came about after me playing with Albert King. When I was with Albert, I met this bass player who goes by the name of Buster Jones. During that time my brother Ralph was in the service. He came home, and then the three of us got together. We put together a three-piece. It was rock and roll – kind of like heavy metal. Right, right. It was good. And it was bluesy. I can’t think of anything that I’ve done, man, that wasn’t bluesy. We came here to Gary, and we got together. We started writing the material and just shooting stuff around, trying to see what our sound would be as a three-piece. We were using big chords and heavy solos. There’s something about three-pieces – I used to really check out a lot of Cream – and I was interested. “Mississippi Queen ” was one of my favorite tunes, by Mountain. And then also playing with Albert King taught me a lot. It helped me at that particular time, because I was going through that period where I was thinking speed was it, as far as soloing and really trying to get something across. But Albert and a lot of people helped me grab my heart, man, and slow down a little bit. Then I was more into delivering something that would be easier for people to catch on to, something that they can carry with them in their memory. Did you learn that from Albert King? Yeah, Albert. Every now and then he would give me solos, you know, and one day we was on the bus and he just came to me and said, “Hey, when you solo, slow yourself down.” He said, “Those people out there in the audience, by the time they are getting ready to leave from that concert, they not gonna remember anything you done. You’re not gonna leave them with a feeling. It’s better for you to utilize four or five notes in some type of melody that can really connect with the people than to play 150 notes within a solo.” And it kind of made sense to me. I just took that and tried to mold it into something. It done me good. I try to play more with the melody type of form, where the solo is almost a vocalist type of situation. What should a Donald Kinsey solo do? It should enhance whatever the song is all about musically. It should be like an icing on the cake and not change the flavor of the cake. Yeah. 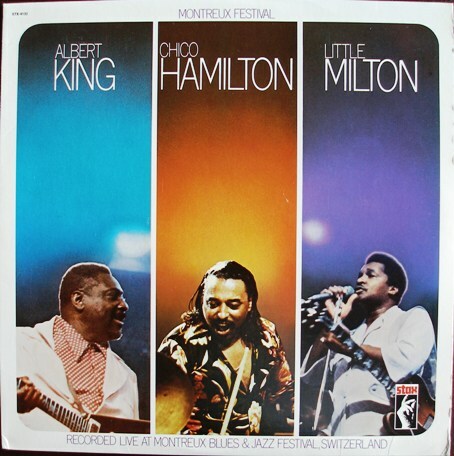 Did you play any solos on Albert King’s I Wanna Get Funky and Montreux Festival albums? Yeah. Let’s see. On the I Wanna Get Funky album, I don’t know if you’d call it an actual solo, but I did the slide work on the “I Wanna Get Funky ” track, and the slide is kind of dominating that song. On “That’s What the Blues Is All About” I’m doing the wah-wah track on that, the rhythm. “Till My Back Ain’t Got No Bone” – there’s slide on that one too. Did you play the wah-wah on the Montreux album? Did Albert ever give you playing advice, like how to bend notes? No. It was something that I already had, because they used to call me “B.B. King, Jr.,” when I was like 15 years old. I’d heard about that. How did you get the name? [Laughs.] My father was a B.B. King man – he liked B.B. King. Every time B.B. King came through town, my father would be there, if he was available. He has a lot of photographs of him and B.B. King around. And I used to listen. I was one of those types of guys that would put the record on. My father, if he wanted me to learn a song, man, he’d get me a record and say, “Here. You sit here for this record.” And I would learn it until I had it. My father used to be playing, like, “Johnny B. Goode” type of things, as far as rock and roll was concerned, on the guitar. And so I would pick up on stuff like that. But as far as really blues, I heard a lot of B.B. 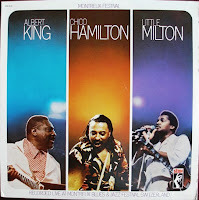 King when I was younger, and Muddy Waters and Lightnin’ Hopkins. Is that your earliest memory of music? Yeah! Yeah, really. I really became serious with the guitar, spending time picking it up and trying to learn it, when I was about 13, 14. My brother and I was playing nightclubs behind my father when I was 15 years old, if not before then. I used to sing a lot of B.B. King tunes – “Sweet Sixteen,” “Three O’Clock in the Morning.” What happened was we went on a little tour of the South, and we stopped in Memphis. This lady, Mrs. Walker, was related to B.B. King, and she owned this club in Memphis. We played there – it wasn’t too far away from the Lorraine Hotel. Anyway, she suggested to my father of calling me “B.B. King, Jr.” because she felt that I sounded a lot like him and played a lot like him. This is when I was 15. So we came all the way back here, and that went along for a long time. They must have called me B.B. King, Jr., at least up until I was in high school and about 17 years old. And on some gigs over in Chicago, people got to know me by that name. What was the name of the band back then? It was my father’s band. During that time, dad would always carry a revue. So for a while it was Big Daddy Kinsey and The Constellations, which was like the name of our band. Then it got off into Big Daddy Kinsey and His Fabulous Sons. Were you in the Constellations when you backed Eddie Silvers? Yeah, right! [Laughs.] Okay, you know, man. Yeah, that’s right – Eddie Silvers, man, what a monstrous horn player. That was during the Constellations. We was invited to a show with Denise LaSalle, and B.B. King’s daughter, Shirley King, was also on the show. That’s where we met Eddie Silvers. I’m trying to think of the name of that club in Chicago – I think it was called Copacabana or something like that, but it’s torn down now. But anyway, we met Eddie Silvers, and him and dad got really tight. They kind of dwelled together, because dad, like I said, carried a revue. We had this young lady by the name of Jean Shy singing – she was a female vocalist with a beautiful voice. Me and the band would do a few numbers. Then I would step out front and I would do my thing, and then I would bring on Jean Shy. Then dad had this harmonica player with him – he went by the name of Baby Boy. His name was Fred Robinson. I would bring him on right before I’d bring dad on. He would do a few tunes. And then dad would come on. So it was a whole revue type of thing. Were these 45 rpm singles? Yes, these was just singles. 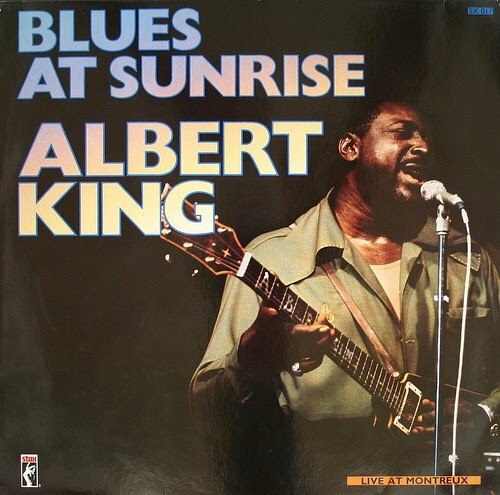 Did you do other recordings before Albert King? Well, I had did some things at this studio here in Gary, called Bud Pressners’s, but it was just demo. It wasn’t really what I would call a record. So we had been in the studio here at Bud Pressner’s. That was really the first recording studio that I had actually been in. It was with a guy by the name of Ben Brown. This guy was one of the first people to actually have any business contact with the Jackson 5. Ben Brown was really on the music around scene here, trying to help local talent in some way. We went into the studio with him and Oscar Brown, Jr. We ended up doing a couple of tracks, but I can’t even remember the tunes that we was doin’. Did you play with your dad up until you joined Albert King’s band? Yes. All the time I was playing with my father, we were doing more than just the blues. It was just the blues for a long time, but then we started breaking off and doing some more R&B – doing some Sonny Taylor type of stuff and doing some Sly Stone type of stuff. We started branching out into a more R&B type of thing, so we would do shows on our own as well. Then we were doing a show here in Gary at Clayton’s Show Club. We was opening for Albert King. After the performance that night, I had come home and was in the bed. When my father got home, he hollered upstairs and told me to come downstairs. So I come downstairs in my pajamas, and he come up to me and he says, “Hey, Albert came up to me tonight and said that he would like for you to go out on the road with him.” Said he needed a guitar player and he really liked me. That was really exciting. Right, I was 18. And you know what? I’ll tell you something else too, man. I came out of school in January, because I had enough credits rather than wait until the commencement. I said, “Just go ahead and give me my diploma, and maybe I can go out here and work in one of these mills for a few months, help save up me some money and tighten up all my equipment.” I wanted to put away some money if I need to travel or go in the studio. So I was working straight days. It was perfect. I wasn’t trying to make no ton of money out there. I just wanted something easy and make a little money and be able to rehearse in the evenings and work on the weekends with my music. I was a janitor – that was cool. I wasn’t working that hard. I come to work one day, and they told me to go out on the tracks. They put me up on one of those blast furnaces. The next day, they told me to report for 3:00-11:00. I called home and told my father what they were doing. So dad said, “Well, quit, man.” So I came back in there and told them I quit. A week after that, Albert came through town, and then this happened. How long were you with Albert King? I was with Albert for a little over three years. Did you leave his band to form White Lightnin’ with your brother? Then you cut your debut album for Island Records. Was that produced by Felix Pappalardi? Yes. That was a nice experience. When we was in New York, we hooked up with Gary Curford. He was involved with Felix Pappalardi [bassist for Mountain and producer for Cream]. Felix, at the time, hadn’t been doing too much, and Gary thought that it would be a very good project for Felix, with us being a trio and having the type of energy that we was dealing with at that time. Felix – I couldn’t have thought of anybody better, really. It was an honor for us to be working with him. We became very close, and we spent a lot of time together before going in the studio. 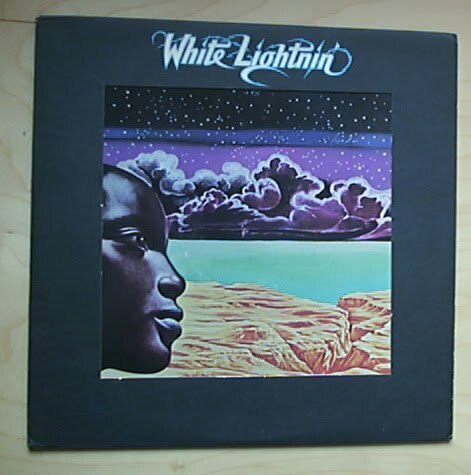 The name of the album was White Lightnin’. Yeah. Really just here in the United States. We was on the road with Black Oak Arkansas, Uriah Heep, Jethro Tull. Is this when you hooked up with Bob Marley and The Wailers? Yeah. 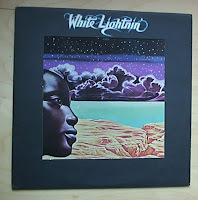 White Lightnin’ had just finished doing a concert in Central Park in New York, and Bob Marley had also just finished performing in New York at the Beacon Theater. Both groups was on Island Records, right? And they had something like a press party, and we was invited to the press party, and that’s how I actually first met Bob. Were you a reggae fan at that time? Not at all! [Laughs.] Well, I’ll tell you what happened. When I first walked up inside of Island Records there in New York, I seen all these posters with Bob Marley. Naturally, I asked my manager, “Who is this guy Bob Marley?” My manager knew Bob Marley – they’d had some type of dealings before – and I got to pick up quite a few cassettes of his music. For some reason or another, I understood the music from the very beginning. I understood the vibration of the music. So when I met Bob, I was familiar with some of his songs; I had listened to some of them. But this was just like a week or two before I met him. Anyway, I guess Bob had heard the White Lightnin’ album or had heard something about me being a guitar player with a very heavy blues background. And Bob liked the blues. About a week later, Peter Tosh [co-founder of The Wailers] was also in New York, working on his first solo album. A friend of mine by the name of Lee Jaffee was representing Peter. So he invited me over to his apartment to introduce me to Peter. I went over and sit down. Peter was cooking when I came in – Peter was really into cooking, you know. So I met him and sit down and listened to some of the tracks he had been doing, and man, he instantly just invited me down to the studio. They was going in the studio around 6:00 or 7:00 that night, and so he asked me to come in. And that was the Legalize It album. So you recorded with Peter Tosh before Bob Marley. Yeah, I did the Legalize It album first. To tell you the truth, at that particular time, we was having little disagreements within White Lightnin’, with the management and what not. Me and my brother wanted to go one way, the bass player wanted to go another way. So that was kind of fizzling out. After Legalize It was finished, Peter asked me was I available to tour with him. That was really quote of a shocker with me, because I’d played on quite a few of the tracks, but I hadn’t really gotten my fingers wet with reggae yet. Were you mostly playing blues? Did you have to adapt your style much? Well, I had to adapt it more or less more rhythm-wise. Reggae, to me, also has a touch of country and western flavor, especially when you’re approaching it from a lead guitar kind of standpoint. And then Peter Tosh, too, a lot of the songs he writes and a lot of the style really has a touch of country and western. I’m the type of guy if I walk in on a track – you know, somebody calls me in and they done already laid these tracks down – well, then, I just try to feel the music and what the song is all about. The mood of the song. And I try to enhance that. You take, for instance, the song on the Legalize It album “You Never Miss Your Water Until Your Well Runs Dry.” I see a lot of country and western kind of flavor in that, musically. So I wasn’t playing a bunch of heavy kind of sounds – it was more mellow, sweet kind of textures. You know that I mean? The opposite of what you were doing with White Lightnin’. So you had to compress your style. Oh, yeah. Yeah. Because it was definitely the opposite of White Lightnin’. What I found was it was really good for me to do something that was such a drastic change. It called me to have to discipline myself. The one good thing about it, though – they would talk to me, especially when it came to the rhythm. In reggae, they do a lot of doubling on the bass line and the plucking kind of stuff. They had to really get me into that. There are so many different methods that they use for doing that. And the skank – oh, man! The skank is like the chicka, chicka sound. Right, the scratchy rhythm. Peter Tosh is like the godfather of that. I mean, you give that guy a wah-wah and put a pick in his hand, and that just is gone! He’s the ultimate. He can do some rhythms with the scratchin’. But I picked up on this stuff really, really quick. The rhythm was in me already. The rhythm was there. It didn’t take me long to grab hold to it. Plus, I just put myself all the way into what they was doin’. I went down to Jamaica. This is with Peter Tosh or Bob Marley? When I did the Legalize It album, I met them in Miami. I never did go down to Jamaica until I hooked up with Bob. Did you tour with Tosh before playing on Rastaman Vibration? Yes. Just the Legalize It tour. That must have been, say, like about a year. That was about ’75, because we did the Rastaman Vibration album in ’76. How did you switch from Peter Tosh to Bob Marley? Man, I came home from our tour with Peter. I’d been out just riding around, and I came home and my father said, “You got a telephone call from a Don Taylor.” I said, “Don Taylor? That’s Bob Marley’s manager.” He said, “Well, he left a number here for you to call.” So I called him, and Bob answered the phone. When I tell him who I am, he said, “Don-al Kinsey! What’s happening, mon?” [Laughs.] I said, “Hey, you tell me what’s happening.” He said, “Yeah, mon, I want you to come down and play some gits with me.” And so I said, “Well, yes!” They was in Florida, recording at Criteria. The timing was just perfect. I said, “No problem. Just send me a ticket and I’ll be there.” It really just happened just like that. So Bob had already recorded Rastaman Vibration, and then you overdubbed your parts? Did you do some of the wah-wah parts? Yeah, and I did the one [sings “Woman hang your head and cry”]. Yeah. I did most of the soloing on that whole album. You joined the Wailers at that time. And went down to Kingston? Was there any pressure on you to become a Rastafari? Did that lifestyle come naturally to you? Well, my father’s father is a minister. Ever since I’ve known him, he was a minister. And I used to go to his church every Sunday. I also played guitar in the church. I used to play behind a lot of gospel groups and stuff like that. Was that a Holiness church? Yes, it was. Church of God in Christ. So I went through this period of time that I would go to church and my grandmother would get up and testify to all the saints. She would say, “I would like for the saints to pray for my grandkids, that they won’t take this talent that’s been given to them and use it in a negative way.” Or, as she would say, “use it for the devil.” That used to bother me, man. I didn’t know what she was talkin’ about. All I knew is that I liked music. I would play all kinds of music. I didn’t really know what she was saying. But one thing that kind of woke me up is that I know that my grandmother loved me, and I knew there was some meaning to what she was saying. Maybe she had a premonition. I don’t know, man. She probably did, because my grandmother is that type of woman. As a matter of fact, when I was there in Jamaica when the shooting [of Bob Marley] went down, my grandmother, she felt that because she had called my people. She’d been trying to get in touch with me while all this was going down. But anyway, I kind of think that when I got hooked up with Bob and them, I began to start seeing another outlet with music other than, say, the traditional type of gospel that I was accustomed to. I saw how these guys was using music and the messages that they was puttin’ in their music. A lot of these songs that I was hearing – especially with Bob and Peter – was like gospel music. Did you have any issues with their religious beliefs? Well, as time went on, I started having some problems with it. I didn’t understand the whole concept with Selassie. Other than that, there really wasn’t too much problem. I understood the dreadlocks. Well, the ganja being related to the religion – I didn’t understand that, really. I just took it as something they liked to do. And I used to smoke. When I got with them, I found myself smoking more ganja than usual. But then one day we was on the bus, and I was twisting up a spliff. And Bob told me, “Hey, man, you smoke too much.” That stopped me! I said, “For Bob to tell me I smoke too much, and I know I don’t smoke nothin’ near the people he’s with.” But he was noticing me. Bob kept an eye on me. Bob and I really got close. And when he told me I was smoking too much, he said, “Hey, man, instead of smoking so much, you should pick up the book and read the Bible.” That impressed me with him. What kind of a man was Bob Marley? Bob was a fun guy – he liked to have fun. He was a businessman. He respected his music – he took it very seriously. He was kind of a private man. But a person in his position and dealing with what he was dealing with, he had to be private to some extent, you know, because he had so many people trying to get in on him. Even with me, it took some time before him and I could be kind of humorous with each other. There was quite some time before I’d see him crack a joke or something like that. He was kind of serious pretty much most of the time, other than when he was playing kickball. He loved playing soccer. But with music, when we picked up our instruments in rehearsal, he was always serious about that. Did he tell you what he wanted you to play? How did you affect their music? There was one time I read an article, and the guy tried to say that I was adding American blues to reggae, or adding “slick licks” to reggae. But I’ll tell you the truth: After I had been around the music for a while, I started hearing certain things about, say, for instance, The Police or Men at Work and groups like that that take the basic foundation of reggae and turn it into pop. They go out here and take elements of different music and they become #1 records, big records for them. And you have these [Jamaican] guys that are like the godfather of this music, and they don’t know what a gold record or a platinum record looks like. What kind of a setup did you use for Bob Marley? Okay. The Marley sound was kind of a different thing from Peter. With Bob, I always played through two Fender Twin Reverbs, and I would split them. I had an A/B switch. For different type of rhythm, I would have quite a bit of bottom on it. Like, say for instance, a song like “Crazy Baldhead,” that choonk, choonk, choonk. That particular song there has a lot of bottom end on the rhythm guitar. As far as guitar, I’ve always played my Gibson Les Paul. I thought you had an SG with Bob. Let me tell you something – people mixes that up! The guitar looks like an SG, but the guitar is actually a ’57 Les Paul. So you used that same guitar with Albert, Bob, and Peter? Right. I think it’s a Les Paul Custom. What effects devices did you have between the guitar and the pair of Twins? Basically, I was using a Roland analog delay and a Vox wah-wah. Let me see. During my time with Marley, I wasn’t using an overdrive effects or anything of that nature. It was strictly the power from the amp. Did you play on any records with Bob Marley besides Rastaman Vibration? Is it true you were in the room when assassins tried to kill Bob Marley? So two days before the show, we’re having a rehearsal at night. It must have been around 8:00, 9:00, and we had just taken a break. So I was going into the kitchen to get something to drink. It just so happened that me, Bob, and his manager was in the kitchen. All of a sudden, man, we just started hearing pop, pop, pop, pop. People started opening up gunfire. A guy came around to the back door, which was right there at the kitchen, and pulled his gun inside the door and just started shooting. We was in the corner – we couldn’t go nowhere. Our backs was pressed up against the wall. Seemed like I could just see bullets come and pass right by me. Seem like I could actually see the bullets, like it was in slow motion. It was weird, man. But anyway, when this guy pulled the gun back, I felt that I could walk, so I immediately ran and jumped behind a big Anvil case that we had in one of the corners. There was already about three or four people back there. And then I seen Don Taylor walking out, and he caught most of those bullets. Oh, he was in bad shape, man. He finally collapsed after losing so much blood. And then after all of that went down, I was left there – me and Neville Garrick, the artist – and everybody else went underground. The police came around. I didn’t know what was going on. The police had my passport – I couldn’t leave. So anyway, I didn’t want to stay at my hotel because I figured these people might know where I’m staying at and they might want to come and – you know. They might be looking for me. I didn’t know what was happening. I knew these sisters that was airline stewardesses, and I told them what happened. So they let me stay at their place. The following day I tried to get in touch with somebody to find out what was going on, but I could not get in touch with nobody. Did you play at the Smile Jamaica concert? Yes. What happened was the police, some kind of way, figured out where I was at. They had walkie-talkies and came over to the house and said that Bob wanted to talk with me. I said, “Where is he at?” He was up in Strawberry Hills – he was at this house up in the hills. So they took me down to the Sheraton Hotel and I couldn’t believe that. When I got there, there was so many TV camera crews and stuff there, so much wires you could barely make it through the front door. It was like a whole big scene down there. So I went upstairs and I talked to Bob by walkie-talkie. Bob asked me, “Donald, you wanna do the show?” Now, where I was at on the balcony, I could look over there at the park where all the people was. For some reason or another, I just had faith that the Almighty was with us, because if it was meant for something to happen to us, it would have happened then. So I wasn’t afraid. I just put my faith in the Almighty to protect me, and I told Bob. I said, “Yeah, I’ll be there. I’ll go.” We couldn’t find all of the band members – the bass player wasn’t there. Didn’t Cat Coore from Third World fill in? Yeah, I think Cat played bass. So man, we did it! Was that your last appearance with Bob? At that time. I got back with him in ’79. What happened was, after the Smile Jamaica show, everybody just went over to the Bahamas. I was really shaken up. I just came up to Bob and I told him that I needed a break. He understood. So that was pretty much how I split. We were still tight, but I was confused because nobody would tell me nothing. Then you went back to working with Peter Tosh? Did Keith Richards’ style fit in with yours? Yeah, man. They love the blues, man. After the Stones tour, you rejoined Bob Marley? Yeah. That tour ended out there in Anaheim. I really liked the vibes of the people out there. This thing that I wanted to put together with the Chosen Ones, I thought the music would be more acceptable out there on the West Coast. I met a few people in the Bay Area and started to look for a house. I wanted a house big enough for the whole band to be there. I wanted it out in the country where we could rehearse and not disturb people. So we ended coming out there and hooked up with management. We all moved to Petaluma and started rehearsing. We started doing some gigs around there – you know, the Keystones and the Old Waldorf, different places. Next thing I know, Bob is coming back on tour. When he came into Oakland is when I hooked up with him. Really, I just did the West Coast with him. Junior Marvin was with him, and Al Anderson was with him as well. Was this his final tour? That was the beginning of it. It was a long stretch – they was out there for a long time. Could you tell he was ill? Yes. Man, it really hurt me bad. When we finished doing the show at Oakland, they had a big press meeting backstage. They had a lot of people from different magazines and stuff. They would ask Bob a question, and it seemed like he would get right into the middle of the conversation and just lose total track. Then one of the other guys would have to pick up for him and finish the statement. I didn’t say anything, but after that was over with and we got back to the hotel, Bob got off the bus and came over to me. Him and I was talkin’, and he said, “Man, it seem like I’m just getting tired.” I said, “Well, Bob, if you’re getting tired, just take a break.” He said, “Yeah, mon. It come like the business is getting really, really hard and rough.” I said, “Brother, you should take a break.” But anyway, he didn’t take a break. You could tell it was coming down on him. It was beginning to affect him mentally. That was really crucial. And I don’t think that at that particular moment he really knowed it was cancer. Are you in any of the Bob Marley films or videos? You know what? I have not actually seen any of my films, but I’ve had people come up and tell me they’ve seen videos and films with me in them. There was a lot of places we played where there was cameras. But like I said, I haven’t really seen any of them myself. What happened after Bob Marley’s West Coast tour? I came back and I did the Chosen Ones EP. That was a combination. We had one tune on there called “Reggae the Night Away,” which was a reggae tune, but real up-tempo. And then we had another tune on there called “Much Too Long,” which was kind of a funk reggae thing. Another tune was a straight-up R&B kind of rocker called “Music Make Me Feel Alright.” That EP was on Faulty Records. We stayed out there in California for a while, until we started having some problems with the management there. Then we all came back this way. This was around ’81. You mentioned that you thought the blues scene was picking up. Do you still feel that way? Are there any young players you admire? Well, let’s see. There are not too many. Since I been back here, workin’ with my father, there hasn’t been too many young guitar players. Michael Robinson was with me with Chosen Ones – he’s playing with Koko Taylor now. Lurrie Bell is coming – he’s good. He’s with Billy Branch in Sons of the Blues. Now, he is someone to keep an eye on. He’s been knowing my father and my family for a long time. I just seen him last Sunday night. What are your favorite tracks on your dad’s album? Does your dad play the Elmore James-style slide on there? Yes, right. Whenever you hear slide, that’s him, except for “Change Your Evil Ways” – that’s me. That sounds kind of like Duane Allman. Was that in open tuning? No, that’s just straight-ahead tuning. What did you play on the song “Tribute to Muddy”? On “Tribute to Muddy,” I’m playing the basic rhythm guitar. Well, I’m doing two guitar parts on there. I’m also doing that kind of bass line type of thing. Who does the “Treat Your Woman Right” solo? That’s me. Dad is doing the rhythm on that. Does he play rhythm in “Gonna Make You Mine”? Yes, he’s playing like the reggae skanking there! I was playing the fills. Now that tune is one of my favorite tunes on there because we tried to create a new type of flavor. It was good for dad too, because when I was first getting off into reggae, it took a while for my father to have appreciation for that. [Laughs.] We was downstairs one day, me and him, just kind of messing around. I said, “Hey, dad. You play this seventh chord. Just give it one stroke – chank, chank, chank!” Then I came up with the other melody around it. Before I knew it, he was into it, and so we went with it. He felt the music – he was in the groove with it. Did you use your Les Paul again for Bad Situation? Alright. I used my Gibson, and another one too. There’s this guitar called Avatar – that’s the company in New York. Anyway, I got an SG from them. When we was in New York during the Mama Africa tour, they came up to me and the guitar player in Tosh’s band, Steve Golden – he’s a great guitarist – and they wanted us to check out their guitar. They knew I was playing the Gibson. So they brought two guitars down for us to check out, and they left one there with me. They just told me to keep it. If I liked it, great, play it. If I don’t, toss it in the trash or whatever. So I been playing it. I plays it now, as a matter of fact. Up until then, I used my Gibson on every recording. Did you have a backup guitar with Marley and Tosh? With Tosh, we always had a couple of guitars. Peter had a yellow Gibson with a double cutaway. I loved this guitar. In fact, I was using Peter’s guitar on the tour. I really wasn’t into taking my Gibson because I had a couple of guitars stolen on the tour, but not the one I’ve had since I was young. I was just not into taking my guitars out on the road, but I did take my main ax, and I took it with me everywhere I went. I wouldn’t let it go on the bus or with the rest of the equipment. You have a very smooth style. Do you use a pick? Yes, I do use a pick. Not all the time, but most of the time I do. There are only a few kind of picking things I do without one. I’ll tell you the song I didn’t use a pick on – the “Gary, Indiana” song. I was doing a lot of fingerpicking, like two-note kind of chords. So I use my fingers with that. Do you use your left-hand little finger a lot? I wouldn’t say a lot. For solos I use it, but not a whole lot. What fingers do you use to bend strings? I use my first three fingers. The second finger not as much as the first and the third. Yeah. When you’re bending a string, do you back that finger up with the others? No, I use just the one. What amps do you record with now? I use Twin Reverbs – the same ones I’ve had all along. But on the Chosen Ones EP, for “Music Make Me Feel Alight” I used a little Yamaha rehearsal amp. [Laughs.] That was more of a rock and roll kind of tune, and that amp really distorted. I also used effects devices on dad’s album. I used a Lexicon Prime Time [digital delay] on “Gonna Make You Mine,” on the kind of reggae tune. I’m not into so much effects, really. Yeah. If anything, just a little tight delay here and there to fatten it a little bit. On “Nuclear War” I used a Mutron Super Phase on the chords. I did all the guitar parts on that song. Are you working in music full time now? Yes, I am. Basically, I’m with my father right now. I’m working on putting together the Kinsey Report – me and my brothers. Are you going to have your dad guest? Are you happy with the way your career’s going? Well, yes. I’m kind of unhappy with seeing what’s happening to Peter. I hate to see him going through the changes he’s going through. Yeah. I put a lot of energy into Peter’s thing. I was really into it. I had a vision of where it could go. The last album, man, it set a pace for us to come back to do something, and it didn’t happen. So I was very disappointed about that. But at the same time, I was very happy with being able to do this with my father and to do this with my brothers, you know. Are you mostly playing around Chicago and Gary? Pretty much, but more so Chicago. We did a Founder’s Day festival here in Gary. We don’t really do too much playing in Gary. We play in Chicago on the weekends. What advice would you give someone who wants to be a professional guitar player? If they have done got to the point where they made up their mind that they want to be a professional guitar player, the main thing that I would tell them is to listen to a variety of guitar players. Listen to different forms of music in order for them to someday possibly create some style of their own. Don’t just go off on what’s supposed to be the hottest guitar player on the rock scene or pop scene or whatever scene. Listen to some of everything. Like me – when I’m in my car, I never just tune in to one radio station. I listen to Latin music, I listen to all kinds of music. That would be one of my key things, because music is like blood, man. We all have it, and it’s all connected – I don’t care what kind of music it is. It’s all related to some other form of music. It’s just different people’s ways of expressing the same notes. People ask me who’s my favorite guitar players. I couldn’t really answer that question because I don’t tune in that deep to any one particular guitar player. That’s kind of the way I feel about that. Did you learn to read or write music? I got into reading more or less from a chord standpoint rather than solos and getting that deep into it. See, I arrange a lot, but I work with a guy who’ll sit down at the piano and we’ll work out what it is I’m doing, and then he’ll chart it for me. But I have been getting into that. I’ve been having thoughts about maybe going in and taking a little classical lesson, just to have that under my belt. That’s definitely good to have. All the things that I play, I can’t sit down and write it all down. You sure have had an interesting career. Yeah, it has been, man. I have a lot to be thankful for. You’ve contributed a lot to the music too. That makes me feel good as well because I know for a fact that these guys wouldn’t have wanted me around unless they felt that I truly contributed something. I feel real good about it. If I had it to do all over again, I’d do it the same way. I just look forward to the future. I look forward to doing more work with my father and my brothers. Donald Kinsey got his wish. 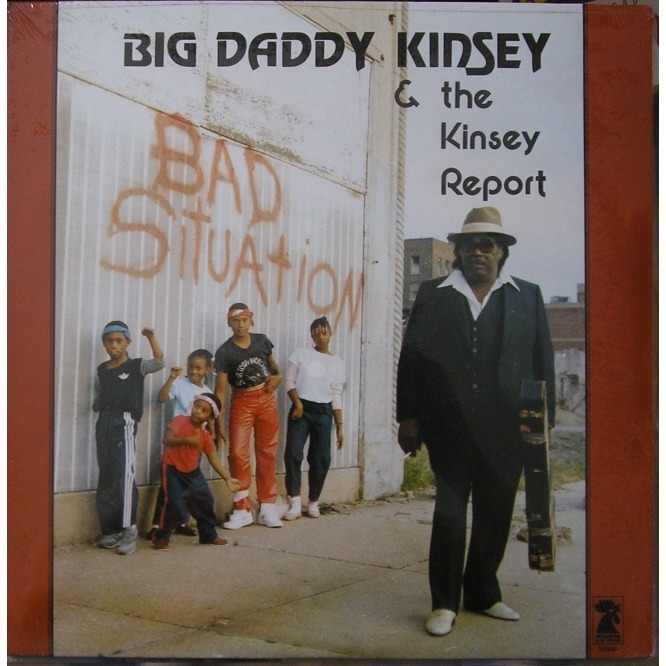 The success of Big Daddy Kinsey’s Bad Situation led to the elder Kinsey releasing three more albums: Can’t Let Go , I Am the Blues , and Ramblin’ Man . His sons continued to work with him until his death in 2001. The Kinsey Report, featuring Donald Kinsey on vocals and guitar, brother Ralph on drums, brother Kenneth on bass, and Ron Prince on guitar, released Edge of the City in 1987. Since then, the band has released Midnight Drive (the title track features one of Donald’s best lead guitar performances), Powerhouse , Crossing Bridges , and Smoke and Steel . They continue to play clubs and blues festivals. For more information on Donald Kinsey, visit his official website at http://www.donaldkinsey.com/ and his youtube channel at www.youtube.com/donaldkinsey. This entry was posted in Blues, Reggae and tagged Bob Marley, reggae, Songwriting, spirituality on July 8, 2010 by Jas Obrecht. Finally getting to this post. The Marley stuff is heavy! I was first introduced to Donald Kinsey’s music by Living Colour, when The Kinsey Report opened for Living Colour’s Vivid tour (late 1980s). I was instantly drawn to his great playing. Midnight Drive is still in fairly regular rotation on my iPod. I saw him again with Big Daddy and the family, and they played well over three hours in some dreary dive club in Columbus, Ohio a few days before Christmas, just playing their asses off and really enjoying themselves. This was a pretty tame crowd, but by the end they had people up off their seats shaking it — and you did not often see that in that town, with that kind of crowd. What a pleasant surprise to find out he had such a fascinating reggae career, right in the dead center of music history. Thanks so much, Jas, for this blog. It’s been many years since I subscribed to any guitar mags, because they long ago gave up music journalism. Now, they’re just gear catalogs. A one off..a great talent..a very kind person..a Musical genius…I was so fortunate to have him help me on some demos I did in New York Intergalactic Studio..One of the songs end up on the Soundtrack in the UNESCO AWARD winning musical doc. BOB MARLEY THE MAKING OF A LEGEND..